Get £5 off with our exclusive discount code when you spend £50 at Denby. See terms and conditions for full details. Discounts available on the range of personalized mugs from Denby - save and be original! Denby has more savings in store for you. Right now, get Free Delivery On Orders Over £50! Offer ends soon! Glassware Deals At Denby - Buy Today! Amaze everyone with your classy glassware - check for great deals here! New Arrivals At Denby - Check Now! 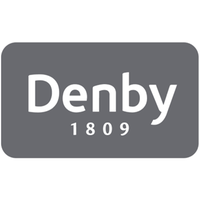 Be the first to find a great deal at Denby - check the fresh arrivals and shop today! Free Delivery On £50+ Order - Shop Today! Use this voucher for free delivery from Denby now!